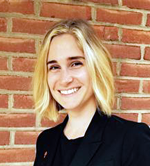 Molly Pisciottano is a Health Promotions Specialist with the American Lung Association in Pennsylvania and her primary role consists of managing the youth tobacco prevention program known as the Tobacco Resistance Unit (TRU). Molly received her Master’s Degree in Healthcare Administration and Management from Point Park University. She presently oversees TRU recruitment/member engagement, while providing necessary trainings to TRU Advisors as well as youth advocacy trainings for TRU Youth. In addition, she assists with the organization of TRU Storms/Events, keeps up to date on TRU social media and the TRU website, and works on other tobacco control initiatives such as Tobacco 21, smoke-free housing and smoke-free college campuses. Erica Saylor is the Specialist for Pennsylvania Advocacy with the American Lung Association in Pennsylvania. She received her Master’s Degree in Public Health from Penn State University College of Medicine. Currently, Erica handles the administration and management of various PACT projects including: PACT membership engagement/recruitment, PACT notes, Advocacy Trainings, Master Settlement Agreement funding sustainability efforts, Tobacco Control Point of Sale initiatives, PACT/TRU integration, and other special initiatives. Prior to beginning her current position, Erica interned with the Tobacco Control Team at the American Lung Association and led the new Point of Sale Pilot Study in Scranton, Pa.
Sarah Lawver is the Director of Advocacy for both Pennsylvania and West Virginia with American Lung Association for the Pennsylvania Alliance to Control Tobacco (PACT). Sarah leads policy, statewide advocacy strategy, program development and implementation, and continual management of all advocacy projects. 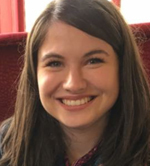 Prior to joining PACT, Sarah excelled in chronic disease integration efforts and served as the Tobacco Control Program Manager for the North Central Region of Pennsylvania. 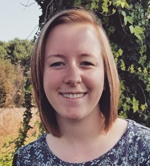 Sarah is currently pursuing a Master’s of Public Administration at Shippensburg University.